We are going international today - well at least international for most of you! Not for me because I live here - ha ha! I'm excited to have Sylvia from Scrapabilly (my LSS) to be our Guest Designer today. This is one cool chick! She has the Rockabilly vibe down to a fine art and when you go to her shop, you'll be singing along with Elvis just like the rest of us! Her shop is awesome and I'm lucky enough to be on her Design Team for her monthly kit. She has become such a good friend and has welcomed me in to her inner circle who have also become good friends - and I get to go a real, live crop every week. Sylvia is thoughtful, kind, witty and savvy. And she makes gorgeous pages! We are complete opposites in how we scrap and I love her pages because I know I could never make a page like hers. We have a good mutual appreciation society. Let's see what she has to tell us. This layout is inspired by Whimsical Musings prompt #32: a relationship not yet scrapped. After the death of our 17-year-old cat „Jerry Lee“ our house was so empty and cold. So we decided to adopt two little kitties some weeks later. And this was the best decision we could have made J. The cats are called „Holly“ & „Cash“ and they seem to enjoy living with us. And we do so, too. Especially our daughter Saskia is cuddling the cats whenever she can. This layout shows her kissing „Cash“ and I am sure you can see the love between those two. It is my first layout about our new cats which are growing quickly – they are 6 months now. 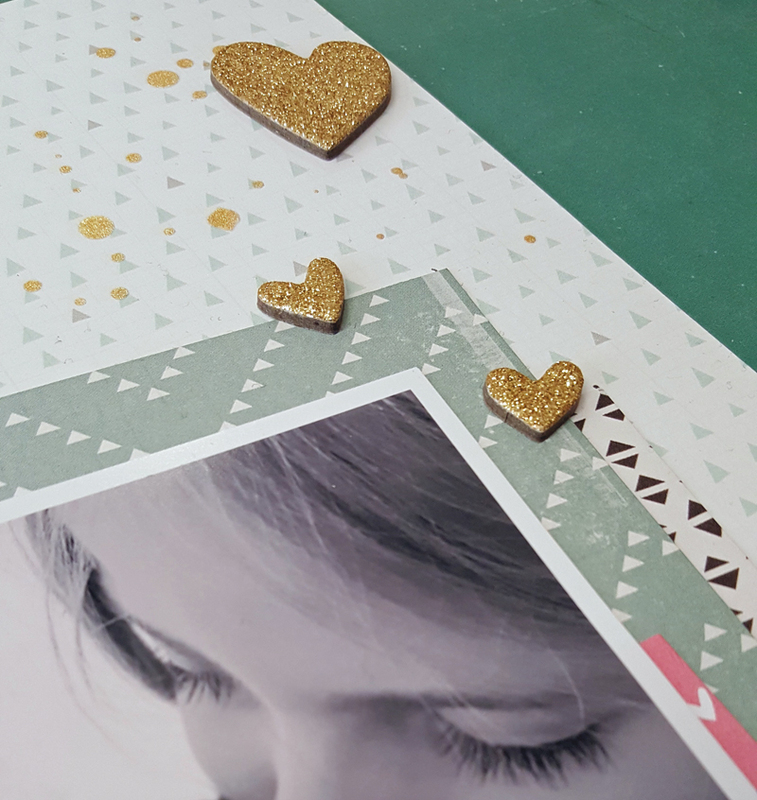 My layout is based on a sketch by Elle´s Studio and I used Crate Paper´s „Little You“ collection for it. The soft colours fit perfectly, I guess. 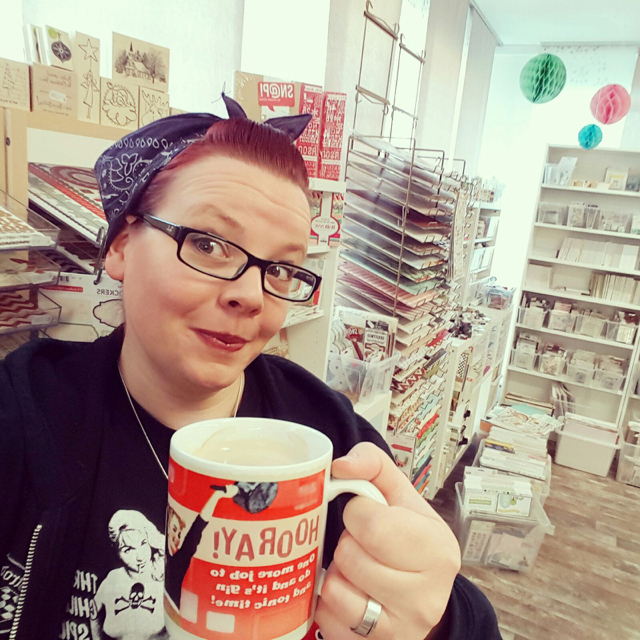 Find Sylvia at Scrapabilly here! I am so happy that Sylvia agreed to be on the blog. I couldn't be more lucky to have her as a friend and to have her shop as MY LSS! 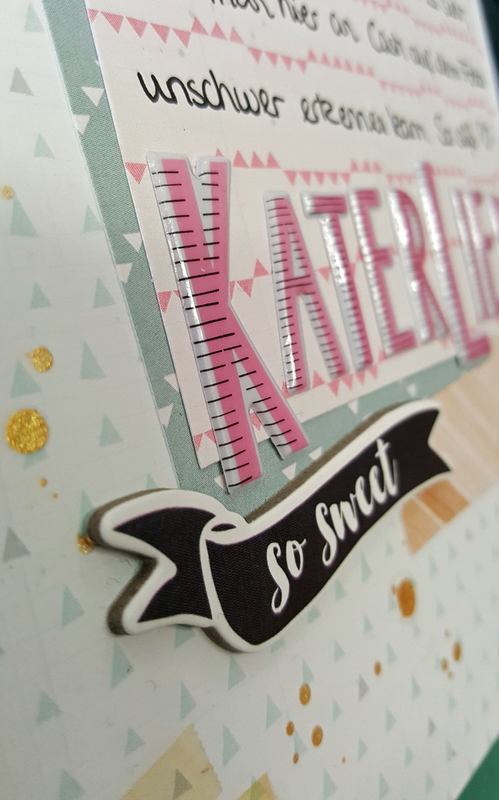 Now, Scrapabilly had a major kit redesign this month and now there's not just one awesome kit to collect, there are now three to choose from. 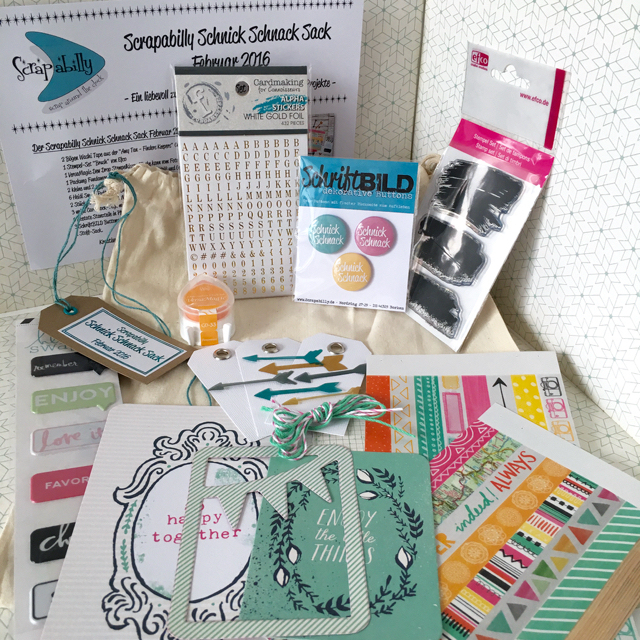 A scrapbooking kit - the Kit des Monats, an embellishment kit - the Schnick Schnack Sack, and a planner kit - the Pretty Planner Pack. I happen to have a Schnick Schnack Sack as one last giveaway this week. Look at those goodies. This is a super kit and I'm tempted to keep it - ha ha! So, if you'd like to be in with a chance to win this bag of schnick and schnack then leave a comment on TODAY's blog post and tell us YOUR favourite previous prompt. I'll give you until the 21st February to comment for your chance. You can find details of the other two giveaways in the blog posts earlier in the week. We now also have a Whimsical Musings Facebook group (come along here to join in) and I've set up an album there for any layouts that you'd like to share for our 200 celebrations. There's a whole load of friends over there already and you will be given a warm welcome - don't be shy! Gorgeous page - perfect soft colours for such a sweet subject. I am SO envious of a weekly crop at a LSS - though I'd have no money left!!! Looking through the prompts I'd have to say that #146 is my fave as it's got button in it (at least that's the one I'm working with for now). Pretty layout - I like all those pastel layers combined with gray and gold. Those letter stickers are great too. 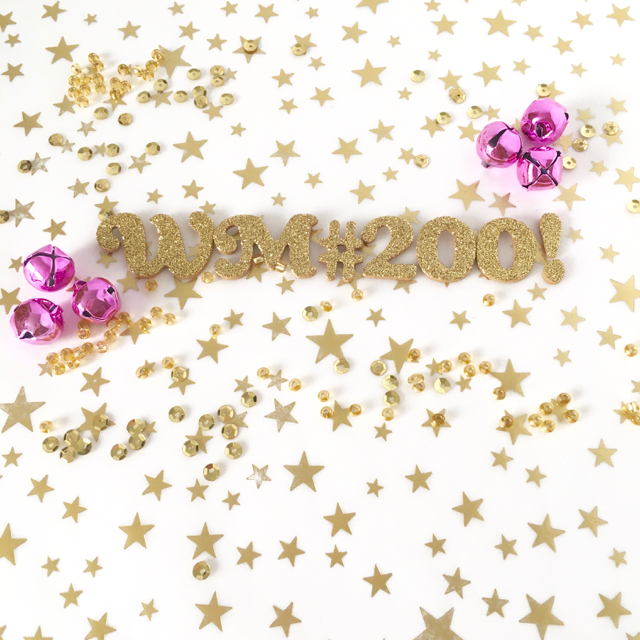 My favorite prompt is #170 - inspired by chocolate (of course!). I've made several pages about my love for chocolate but there's always room for another, right? Awwww, so sweet. TYFS! I can totally relate as we love kitties here, too. :) The golden hearts are such a perfect touch!! Love the soft pinks and your crisp, pretty style. My fave previous prompt is # 3, Inspired by Connections. It fits almost every LO I do, in a way. Another fave that encourages me to scrap--literally every time-- LOL-- is #33, Inspired by Old Stash!! So many great prompts here at WM. Happy to have you as a Guest Designer, welcome!! Nice to meet you, Sylvia! Totally love the photo of you and so glad that Lisa has a place to go to where she can live her rockabilly life! I bet you gals have a good time on those Thursdays! Your LO is adorable...I'm a cat person myself so seeing your daughter snuggle with the kitty touches my heart. Since I have only done one prompt so far, I will choose one that would be my previous favorite prompt and that would be #158...inspired by meeting someone for the first time...and that I will do a LO of very soon. Guess who, Lisa? Such a sweet page and I love the products you used. How fun to have kitties in the house. My favorite challenge was #11. You have to kiss a lot of frogs to find a prince. I really enjoyed scrapping that page and telling my story of my prince. Oops. Just wanted to say thanks Lisa for Whimsical Musings. I didn't participate as much as I wanted, but always enjoyed seeing others interpretations. Hearts for the title. "Kitty Love" That is a play off WM #152 Puppy Love. So sweet. Love the layering of pp. the focus is totally on the photo, and it is all so restful. I look at it, exhale and pause for the moment. So happy that you showed up to the party, as we hear about you all the time. Sylvia, Ich fruiendich die. I feel so special that I've had the opportunity to visit the Ruhr region and meet Sylvia and shop her fantastic shop. With Euro in hand, I gathered up as much scrappy supplies that would fit in my suitcase. I don't think I've ever visited a shop in the US that is as well stocked as Scrapabilly. And Sylvia? Such a warm and welcoming lady! Her English was fantastic. All I could say was "Danke"! A schnick schnack pack would be lovely to win. A WM prompt I'd like to complete is "Inspired by Anthropologie". I've got the photos...I've got the story...just need to find the time. How fun! I wish I could visit Scrapabilly - what a fun shop! This layout is just precious. I keep coming back to "inspired by maps" and "inspired by banners". I think I need branch out more. Thank you, Lisa and Sylvia! What a great week of prompts this has been! Scrapabilly sounds like fun. I wish I could visit! My favorite previous prompt is Inspired by Hidden Journaling. I love to hide my journaling in ways that people can still find it.